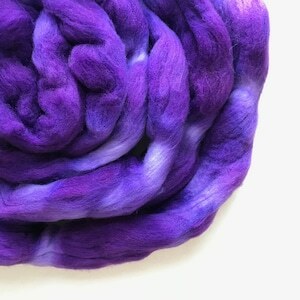 POP Hand dyed roving merino wool. 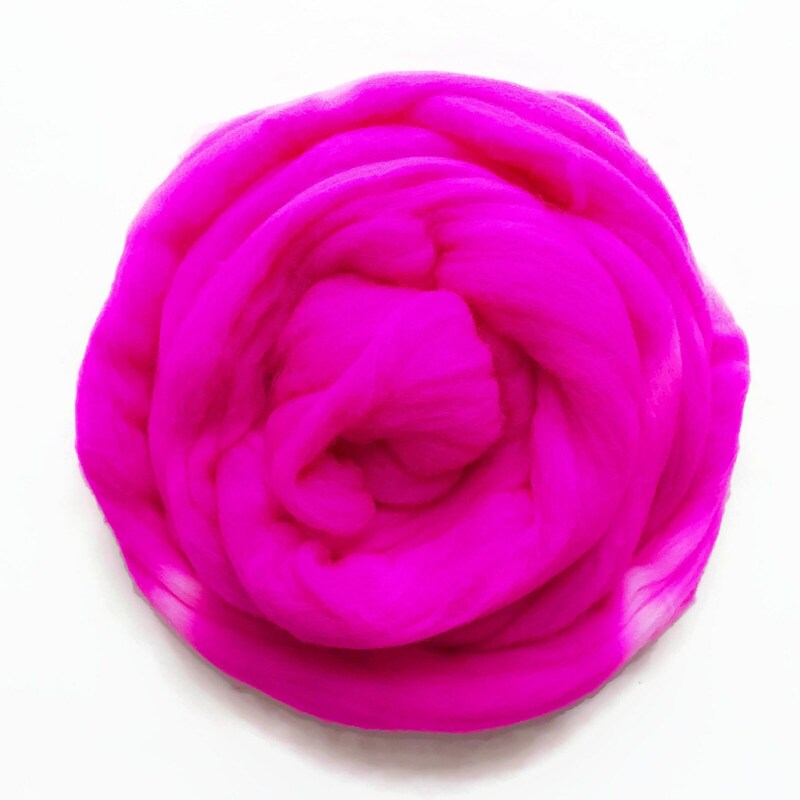 hot neon pink. Extra Fine 64s (21.5 micron) top. 4 oz. 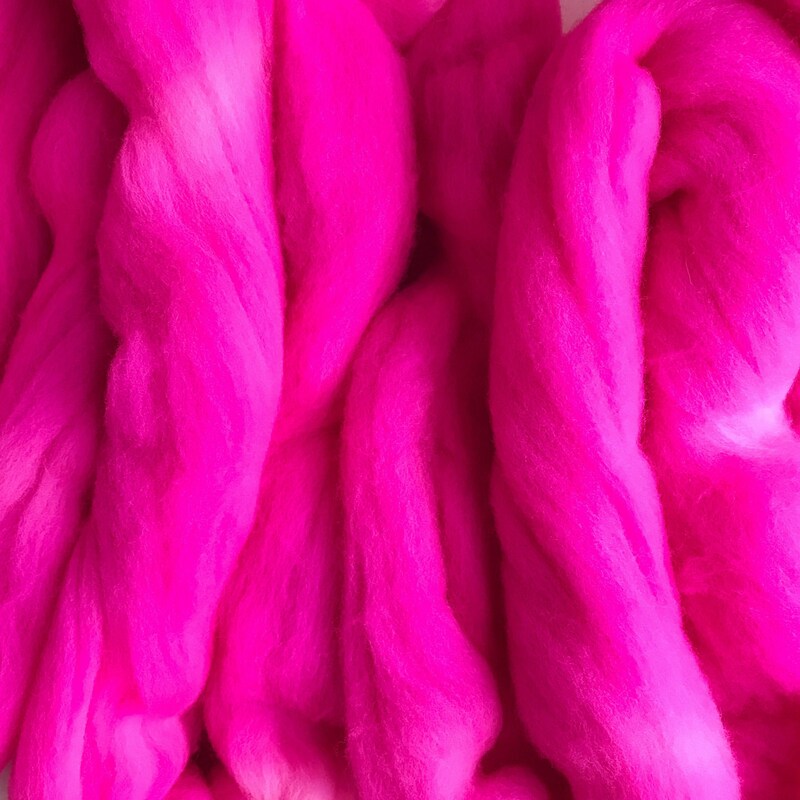 POP hot neon pink Hand dyed roving merino wool. 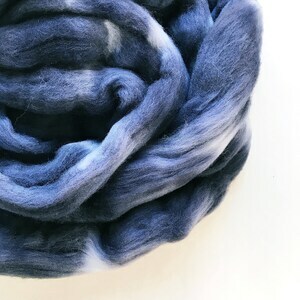 Knitting spinning felting crafting wool fiber. 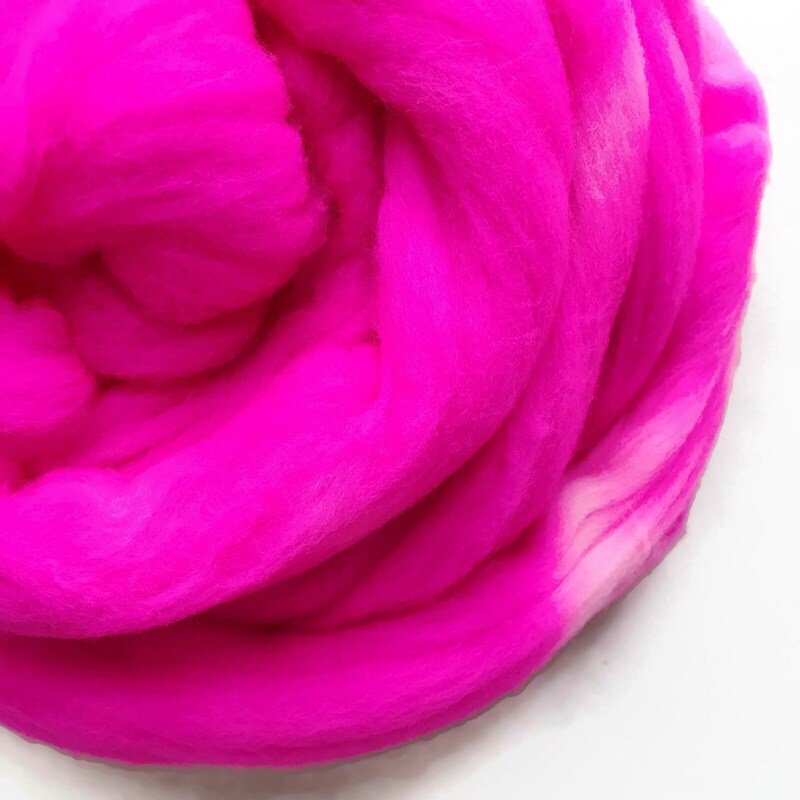 Extra Fine 64s (21.5 micron), soft wool top. 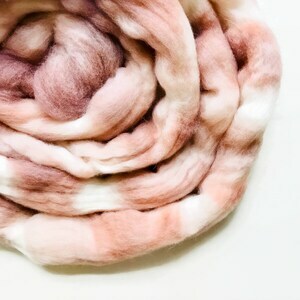 4 ounces of beautiful, handpainted, merino wool roving. 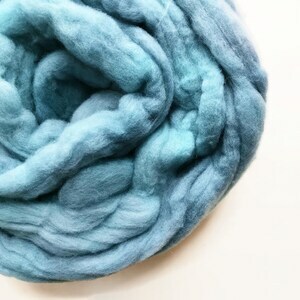 BLUEFIN hand dyed roving merino wool 4 oz.